I’ve been so impressed with the transportation systems in Taiwan, Singapore, Thailand and around Europe, particularly the trains.They’re very clean, have some kind of gating system that ensures almost everyone pays for their fare, and run very efficiently. 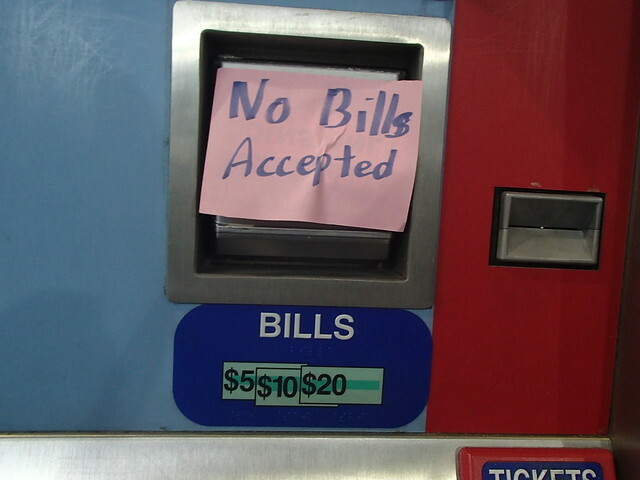 When I left Vancouver in 2013 to work in Cambodia, I was happy to hear that the city was installing turnstyles because a long time ago, someone had the not-so-bright idea of just using the honour system and trusting that people will pay their tickets. And TransLink lost a hell of a lot of money with this system, which would in turn, force them to increase fares to make up for it, making it less attractive and feasible for people to take public transit. 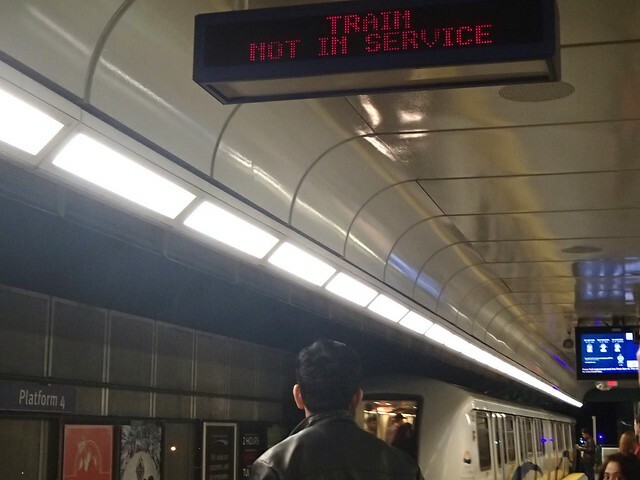 It would be much cheaper to hire an engineering consultant from Asia that actually designed the train system to be robust and functional. 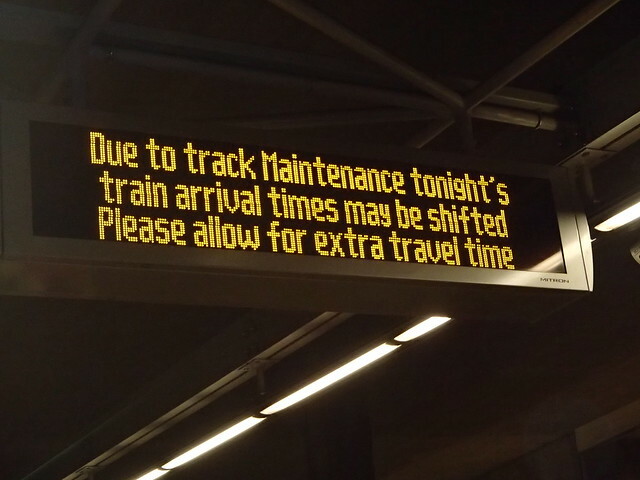 If trains broke down as much as they do in Vancouver or operated at the slow speed for the volume of people in Asia, there would be a riot. Bangkok’s population has a much higher volume of people taking the train and it is very efficient and I’ve never had to skip a train even in rush hour to get where I needed to go in the crowded city. I’ve been in Siem Reap for almost three years and many of my Cambodian friends are the most hospitable and friendly people I have ever met in my life. The thought of leaving Cambodia makes me so sad because it’s hard to find Western people with the same level of hospitality. I left Siem Reap yesterday to see one of my best friends Christina in Barcelona. 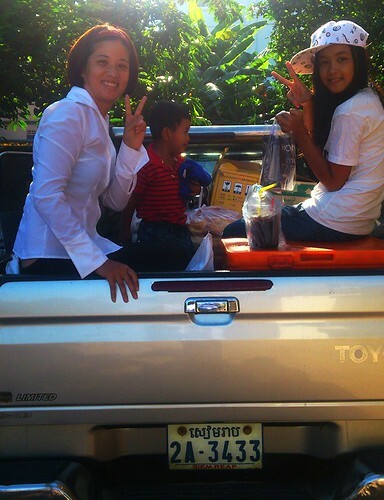 She is the reason I came to Cambodia for the first time in 2009 to do a 500 km fundraising bike ride for the PEPY NGO. I was lucky to be reminded that there are friendly and generous travelers around. I’ve been settled in Siem Reap so being there for awhile sometimes makes me doubt the level of friendliness among travelers. When I got one my first plane, there was a traveler who didn’t speak much English. But he immediately helped me put my carry on bag in the overhead and helped call the stewardess when I needed something. On my route I had to transfer through Ghangzhou China and Paris to get to Barcelona. China Southern Airlines is nice because if you have a long layover they do a free transfer to a big hotel for you to stay in, even if it’s not overnight. My layover was eight hours and a shuttle bus took us for just three hours then back to the airport. I wasn’t really in the mood to be social with the other travelers because I was grieving leaving Siem Reap. While we were walking to the hotel reception, one girl asked me if we were going to the right place. I said yes and asked her where she was from. When she said Barcelona, we immediately started chatting and explained to her that I was meeting a friend there. After the hotel we stuck with each other and kept each other company during our long layover. She was so nice to offer to pay for our airport snack and drink and she said it was my early welcome before coming to Barcelona. I told her I will treat her a coffee once we have time in Barcelona. The time went by a lot faster while we were chatting and we planned to meet up with our friends. It’s a good thing we were together because in the Air France gate, we didn’t hear any announcement that the gates we were supposed to board on was different than our boarding pass and we almost missed our flight. We almost boarded a long line going to Bordeaux instead of Barcelona. We were five minutes away from missing our plane. The views from the plane of the big puffy clouds, water, mountains and friends, were spectacular during this flight. How a plane works and being able to travel anywhere is magical and a huge privilege that I hope some of my dearest friends can experience. When we finally arrived in sunny Barcelona, I didn’t have change from my 50 Euro bill to pay for the Aerobus. She was so nice to tell me she had enough change to cover both of us. Of course I said I would pay her back but she didn’t seem too concerned about it. This is my first time in Spain and at first glance, I’m fascinated with the style of the buildings, restaurants and vibe of the city. I’ve been so used to Asian architecture the last few years so it’s nice to see a very different style and a blend of people from all over the world. She told me where to get off the bus and was very genuine in telling me to message her as soon as I get a number so we can meet up. 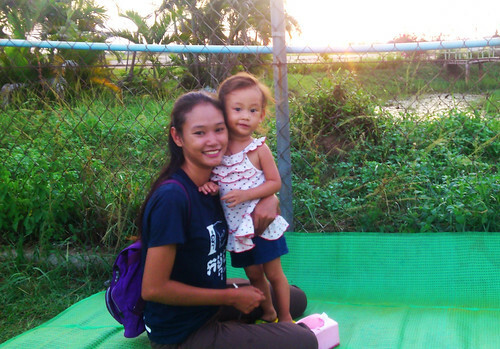 It was great that she was there so I’m not just sulking and thinking about how much I miss people in Cambodia. 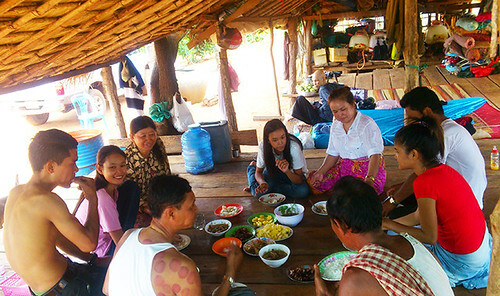 On Sunday, September 27, I went with my Khmer (Cambodian) family to go to a pagoda 40 km outside of Siem Reap where my friend’s mother in law lives to celebrate the first day of Pchum Ben, a religious celebration where Cambodians pay their respects to their ancestors for up to 7 generations. 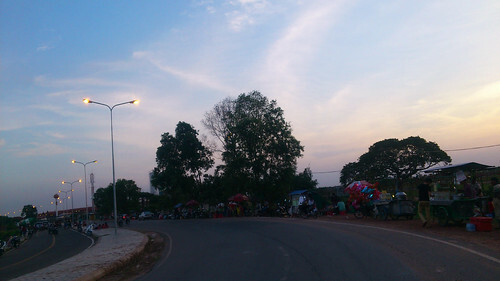 People celebrate for two weeks leading up to the national holiday on October 11, 2015. During this period, the monks chant all night without sleeping and people go to the pagoda as early as 3:00 a.m. to offer food. 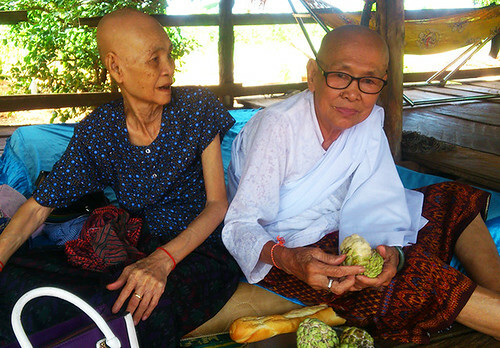 95% of the country is Buddhist and during the holiday, people offer drinks, rice, or other food for the monks to eat and they believe these offerings will benefit their deceased ancestors. My Khmer family was so nice to buy a truckload full of drinks, salt, rice and other items to offer the small pagoda 40 km outside of Siem Reap in a poor community. The pagodas in Siem Reap receive a lot because many people go to the ones in town. 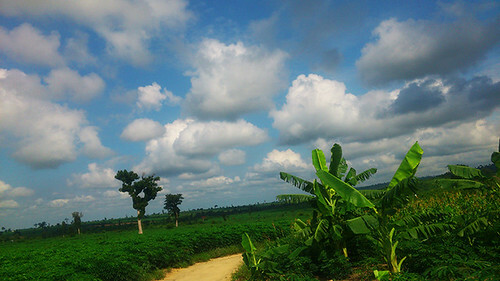 The beautiful green landscape in the countryside that appears during the rainy season. 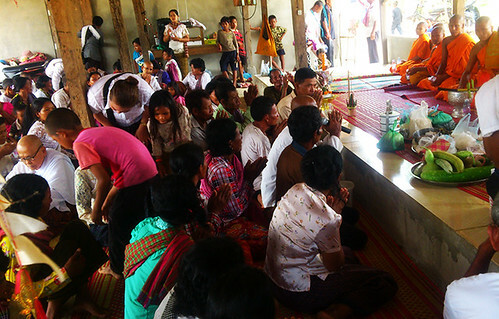 This is a small pagoda where my Khmer family made their offerings in the countryside. They were raising money to expand it. We arrived while they were doing the ceremony, which lasted up to a few hours. We didn’t stay because we were going to each lunch at my friend Konnitha’s mother-in-law close by. Kids playing just outside the pagoda. This is Konnitha (left) with her cousin (right) on the way to her mother-in-law’s house. 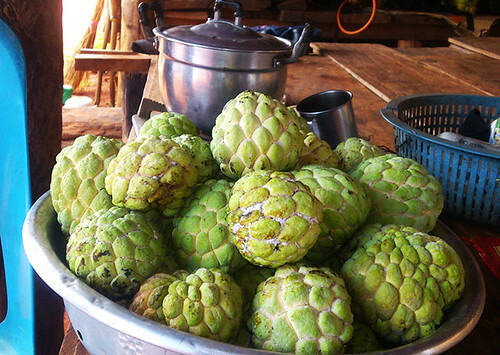 This is a custard apple fruit that is grown on Konnitha’s mother-in-law’s farm. These are Konnitha’s grandmas eating before lunch. 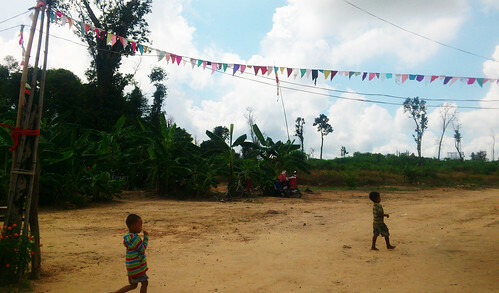 I love how so many kids in Cambodia know how to entertain themselves and use whatever is around them to play. They don’t need a lot of toys and things, they just need to use their imaginations. 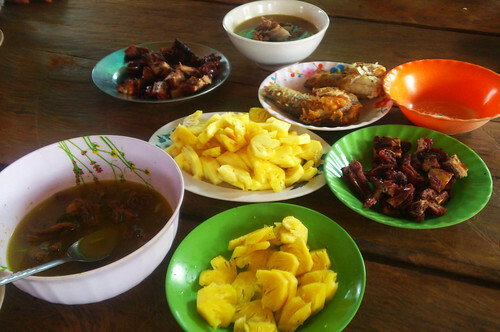 Our countryside lunch was comprised of ribs, curry, fried fish, and pineapple. The whole family ate together. This would be so illegal in Canada but I wish we had a vibrant street food culture like many places around Asia. 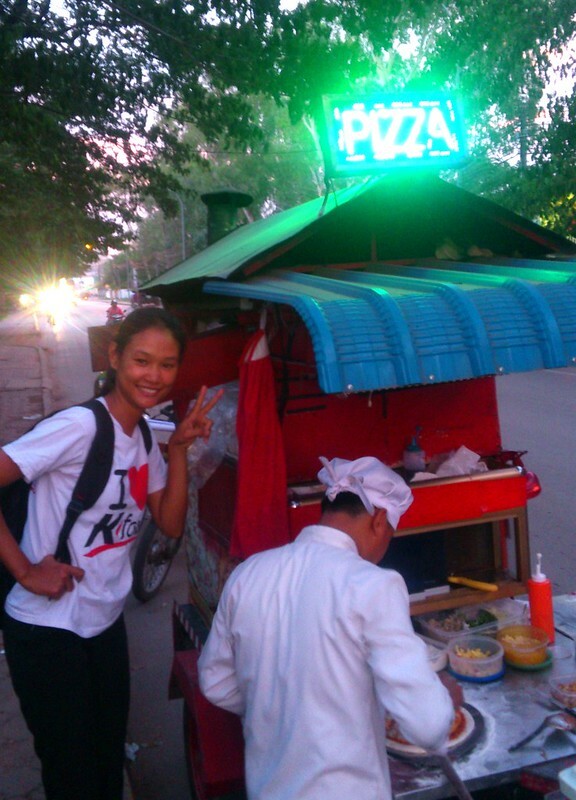 I first spotted this pizza shop on a tuk tuk (motorized taxi) around Siem Reap, Cambodia when I was bicycling. 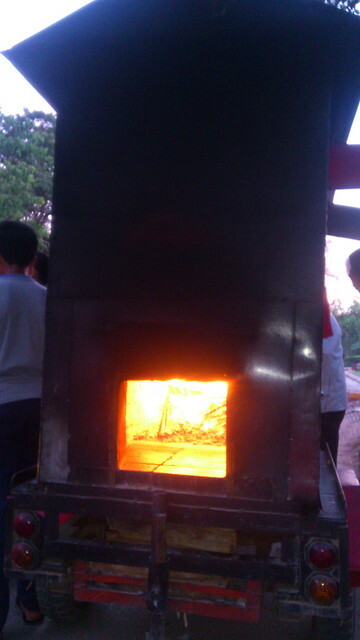 The fire caught my attention and I went closer until I realized it was a woodfire oven right at the back of a scooter. The pizza chef is originally from Phnom Penh and many people stop for pizza as he goes around town. 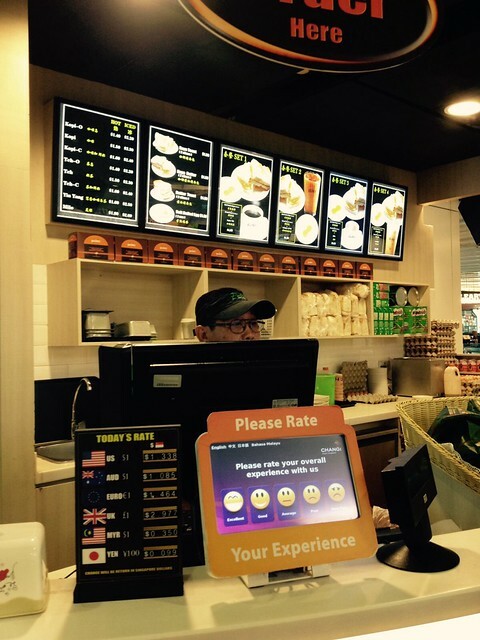 Once you place your order, they make it fresh on the spot for you. I always spotted him when I wasn’t looking for him and when I tried to find the tuk tuk pizza, I couldn’t find him. My good friend and I promised that if we passed him on the way back home, we would stop for a pizza. 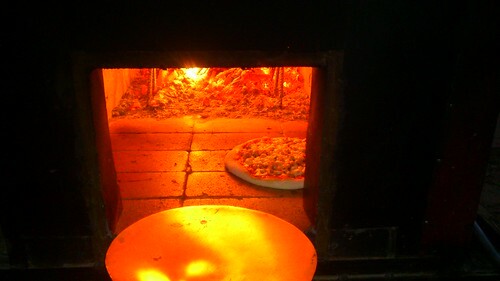 It was pretty good for a fresh, street pizza. But because he is business savvy, you can take his business card and they do free delivery. I’ve been to Battambang City in the north of Cambodia a few times and for a quiet little town, I’ve been very surprised by how delicious some of their restaurants are. Even the $0.50 iced condensed milk coffee is tastier than any one I’ve had in Siem Reap at the local market. It’s easy to find the most popular restaurants in Battambang but if you only have a day or two, I strongly recommend saving one or a few meals for Eden Cafe and Flavors of India. 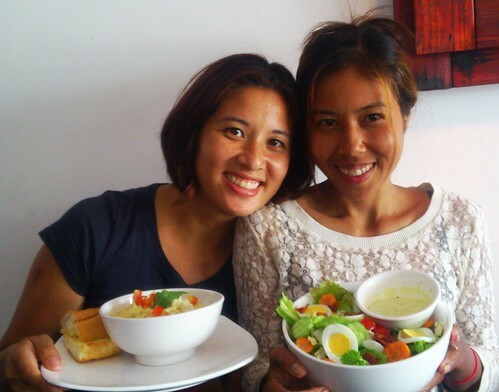 Eden Cafe is connected to a local organization that focuses on investing in the futures of Khmer people by empowering them with new skills and creating jobs. The cafe has a modern design where people can enjoy a delicious meal, air-con and fast Wi-Fi while supporting the work of a fantastic organization. The prices are a bit higher with the average price being US $5.00 per dish, but if you don’t eat a lot the portions are generous and can easily be shared between two people. 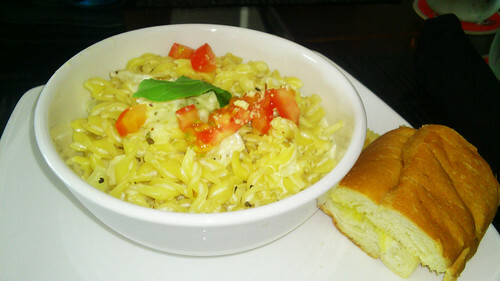 I’ve had the fettucini alfredo meal three times during my last two trips in Battambang, that’s how good it was. It’s simple but it is the perfect comfort food. This is the best hot chocolate I’ve ever had in Cambodia and is probably the best in Cambodia. 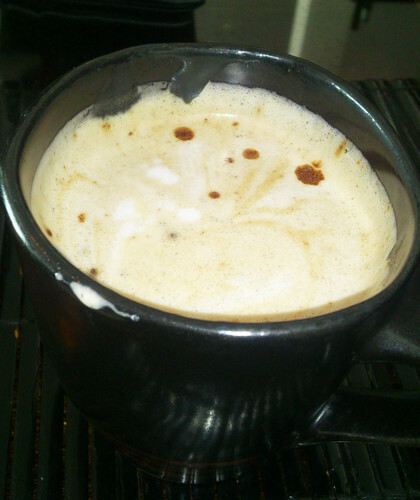 I’m picky about hot chocolate and they make the perfect creamy, marshmellow texture at the top of the drink. 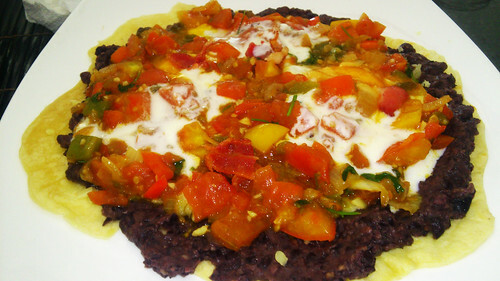 I thought I would branch out from my fettucini alfredo and try the Huevos Rancheros (Black Bean, Egg, Salsa, Tortilla, Sour Cream, Bacon) for breakfast. A lot of times Mexican food is either a hit or miss in any country, so I’m always a bit skeptical. But this was a great meal and all of the ingredients blended well together to create a great flavour. 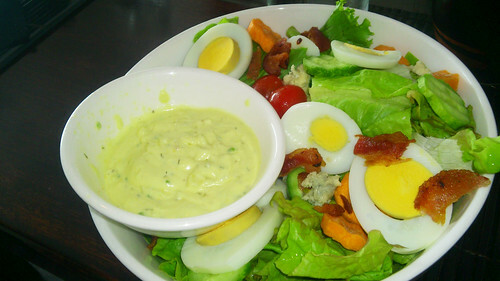 The Cobb salad dressing was good and big enough to feed two people. Flavors of India is a chain that began in Phnom Penh but has locations in Battambang and Siem Reap. I don’t find the Indian food that great or memorable in Siem Reap. I’ve gone to Flavors of India twice in Battambang and the flavors were always delicious and their chai tea is one of the best I’ve ever tasted of all the countries I’ve visited. The best deal is their sets, which includes a naan bread, jasmine rice, dhaal, and two curries. One set is definitely enough to share between two people and if you try a naan bread with your curries, order a garlic naan. 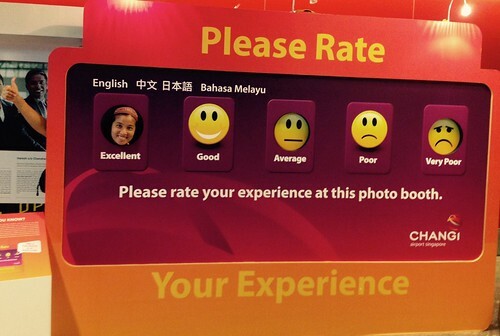 The airport has these simple rating systems that makes it easy for passengers to give instant feedback. 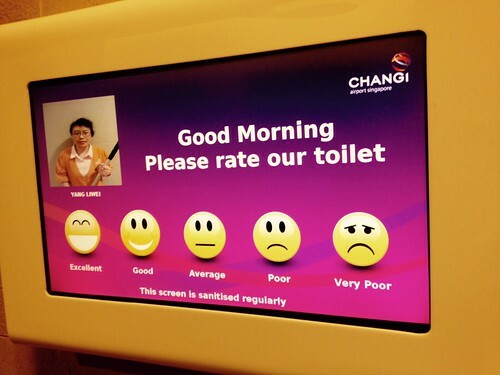 I have never seen so many feedback tools in any other airport I’ve been to. You know an airport is amazing it becomes part of your travel itinerary. I’ve been fortunate to travel around Europe, Asia, North America and Mauritius and the Changi Airport is by far the best and most functional airport I have visited. I have a strong appreciation for spaces that are very well-designed to facilitate an efficient flow of traffic for people and transportation. Excellent design includes having clear signs for where to go, functional bathrooms, and ways for people to give feedback. Compared to North America and some parts of Europe, everything from the moment you land in Changi Airport everything feels smooth and efficient. I can see why Skytrax, a consultancy from the UK that conducts airport reviews and rankings, named Changi the world’s best airport for 2015. 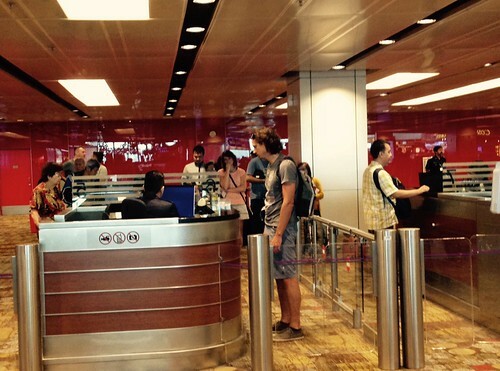 The way Changi operates reflects culture of efficiency and continuous improvement in Singapore. We didn’t have time to visit the Butterfly Garden, movie theatre, Sunflower Garden, and playgrounds in the airport. But my reasons for why Changi Airport is awesome includes more functional aspects of the airport. The passport control is very quick. You’re not interrogated needlessly by immigration officers and have dogs checking your bags for drugs like many of the airports in the U.S.
You can rate the customer service at some of the food stalls. 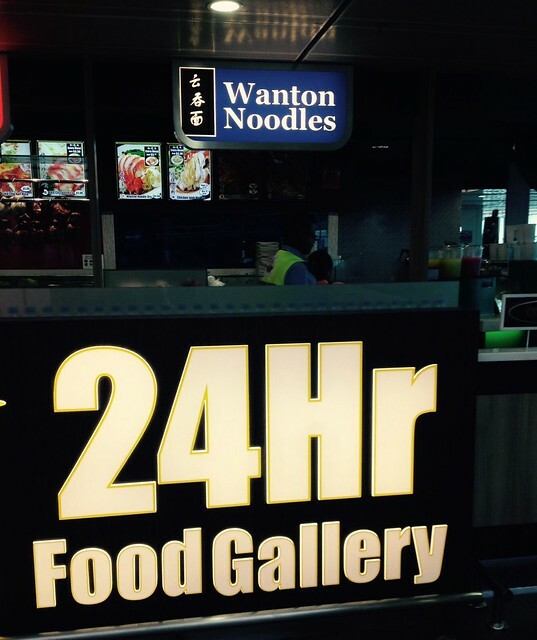 The food gallery has a mix of Asian and Western food. Some airports don’t have designated rooms. 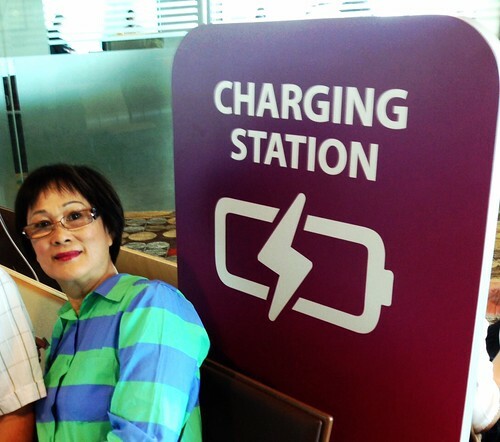 There are charging stations around the airport. This may sound like a simple concept but not every airport has charging stations at the gates or around the airport for passengers. 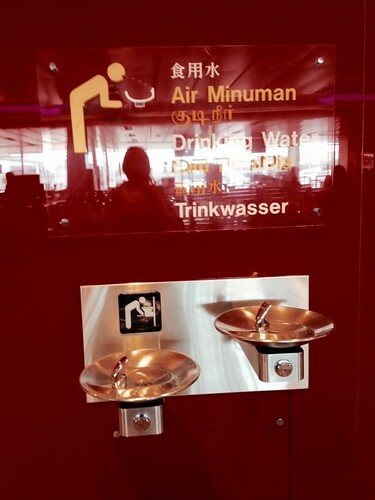 There is public drinking water available so you don’t have to spend a crazy amount just to get water. You can’t get lost at the airport because there are clear signs in the right places that make it easy for people to direct themselves. 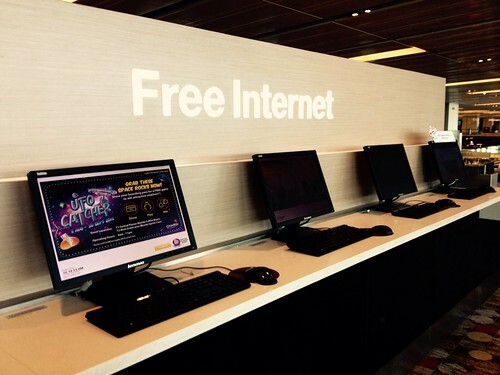 There are internet stations around the airport and there are no chairs so people can only spend time on the computer for as long as they can stand. The bathroom are very clean and also functional. 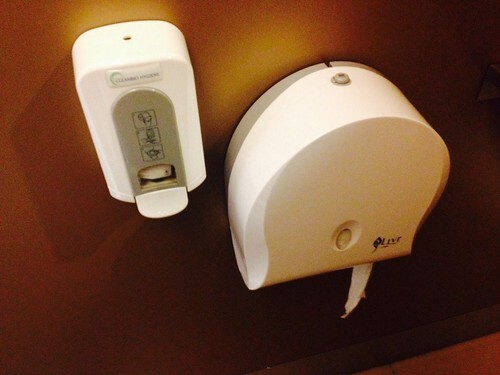 Every stall has a hand sanitizer, a hook on the door, and enough space to put your luggage. Again, this may sound simple but many airport bathrooms don’t leave enough space to put your luggage or your bags. 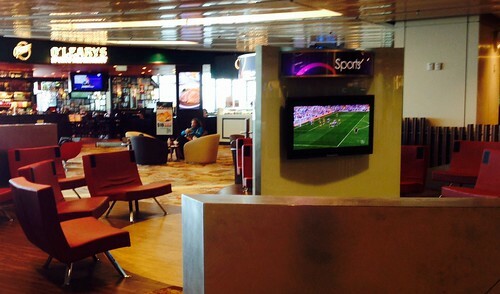 You can watch sports in the food gallery. 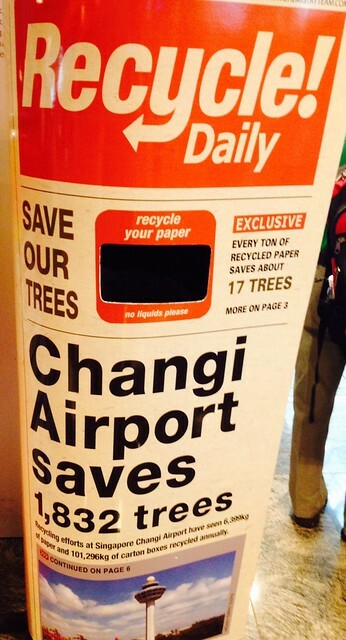 There are recycling bins around the airport, making it easy for customers to reduce their environmental impact. 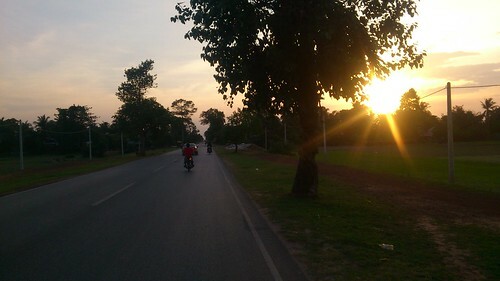 Beautiful sunset drive to the airport from the centre of Siem Reap city. People often ask me what my favorite country was to visit outside Canada and I am very biased because I’ve spent three years in Siem Reap and had the time to discover all the places tourists never have time to see, develop lifelong friendships with the wonderful people here and always discovering new hidden gems. I’m not sure what my answer would be if I had lived a few years in Bali, Laos or Chiang Mai. Hanging right outside the airport gates with Konnitha and her daughter Hannah. The benefit of living in a new place for a long time is there is always something new to discover, especially if you mainly have local friends and every day can be a surprise if you have an open mind and heart during your stay. 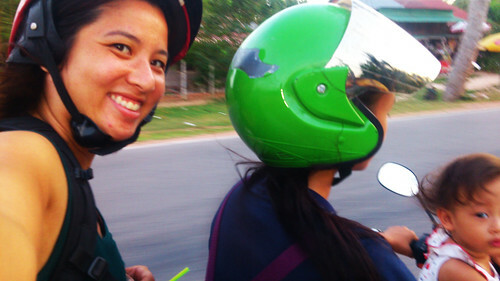 After I finished a 5-hour bike ride in the Angkor complex, which seems to have an endless number of routes, my best friend Konnitha asked me if I wanted to drive with her and her 2-year-old daughter Hannah around the Angkor area and hang out by the airport to watch the planes. The people who have opened up food stalls right outside the airport gates as more people are spending time watching the planes land and fly. “You can hang out by the airport?” I asked Konnitha. 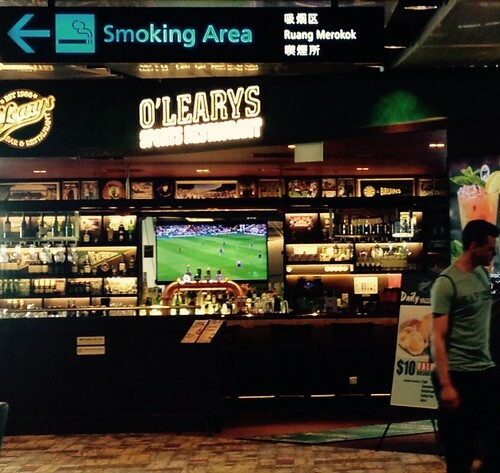 “Yes, you can buy snacks to eat and watch the planes. More and more food sellers are setting up their business by the airport because people come to watch the planes every day,” Konnitha said. Me being a touristy passenger. So we went on a beautiful drive during sunset around the Angkor complex, bought some snacks to munch on and sat on a mat just outside the airport with Hannah. We saw two planes fly by and it was just a beautiful and unique way to pass the evening. There is no way I would ever find out you can do this if I didn’t have local friends.